Since 1935 Fructidor is the leading up-to date database for all fruits and vegetables professionals worldwide. Nowadays English, French, Spanish and Italian websites of Fructidor have more than 145 000 users and professionals from fruits and vegetables sector. Fructidor continues to be everyday working tool for buyers, wholesalers, retailers, supermarkets, growers, cooperatives, farmers, importers, exporters. We are glad to announce publishing of new Western Europe directory for 2020. 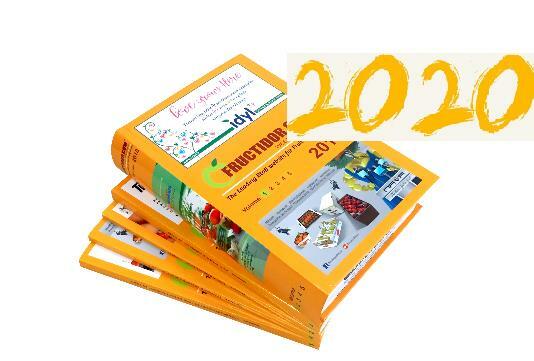 As our customers say: “Fructidor directories are the only books that people still use, all others have disappeared but one still finds Fructidor directories on every fresh produce buyer’s desk”, others call it "Bible" of fruit and vegetable. Buyers, wholesalers, retailers, supermarkets are using our directories, as they have contact details and products of growers, exporters. Growers, exporters are looking for buyers etc. Those directories still exist, because our customers ask for them (yes, in our digital world they still use printed). Western Europe directory for 2020 includes following countries: Austria, Belgium, Cyprus, Denmark, Finland, France, Germany, Greece, Iceland, Ireland Republic, Italy, Luxemburg, Malta, Monaco, The Netherlands, Norway, Portugal, Spain, Sweden, Switzerland, United Kingdom. All directories include only companies, whose contact details we verified in 2019. Why advertising in Fructidor directories works better? - Magazine with your advertising is read maximum once and is thrown away. Fructidor is daily used during 1-3 years (yes, some companies really use directories up to 3 years or give them to others, they are never thrown away). Prices start from €550.00 (yes, only €550.00 for 1 year) and you will also receive 1 year online access to the database. Deadline for booking is June 15. Will be printed and first introduced in autumn 2019. Contact your country manager to check for quantity discounts or preferential positions availability.